Cameron is currently training for the U21 Scottish Outdoor Championships and for selection for the Scottish Junior National Indoor Team 2018. Please review his training blog for further details. Cameron was 2 when he was diagnosed with a cancerous tumour I his left leg. While undergoing 18 months of chemotherapy and 6 weeks of intensive radiotherapy Cameron's surgeon developed a procedure to remove the tumour that may not result in amputating his leg. To our delight when Cameron came out of the 7 hour surgery he still had his leg. We were informed that the surgery had damaged his leg and he may not have full use of it. When the plaster was removed from his leg 2 weeks later for a check he ran out of the plaster room. The surgeon decided not to put another on him. His surgeon told Cameron due to the damage to his tendons he would never be able to stand on his tip toes. Six months later he was standing on his tip toes. His surgeon then told him he would never be able to hop, again six months later he was hoping. He then told Cameron under no circumstances should he try and ride a bike. At 6 years old Cameron was out with his friends and he convinced them to help him ride a bike. After we brought Cameron back from A&E he proudly boast he rode a bike, not far but he done it. Cameron took up kickboxing at the age of 9 just to prove he could do it. He competed in the Scottish Championships when he was 10 and came in second in his age group. After which he could not walk for three days, but to him it was worth it. He had to give up kickboxing soon after due to having further surgeries on his legs. By the age of 11 Cameron had a 5cm length difference between his legs and his left foot was 3 sizes smaller than his right. He could only walk with the aid of crutches and was in constant pain. By 14 Cameron was completely dependent on a wheelchair for getting about. From the age of 13 Cameron had been trying to convince his surgeon to amputate his leg as it was completely useless to him and causing him nothing but pain. Despite this he still took up archery as it was one sport he could do sitting down. Cameron's determination in the sport landed him several gold medals, he is ranked 2nd in Scotland under 18's, he has represented Scotland in the 2017 indoor championships and 2018 outdoor championships. Paralympic GB have also expressed an intrest in Cameron and he has to provide scores to them from his next three competitions for review. Cameron has now been fitted for first prosthetic and is expected to be walking in the near future. This is better than any of us could imagine but it means that he will soon be shooting standing up. The following is an artical Cameron wrote for the SAA news letter but was not published. I am not a cancer survivor. I am not an amputee. These are things that happened to me, but do not define me. I was asked to write a column for this publication to describe my challenges on the lead up to and competing in the National Junior Outdoor Championships. But in doing so I reminded myself that we all deal with challenges every day in life. We deal with these challenges to the best of our ability and we carry on. Is that not the definition of determination? If we manage to find time to train for a sport we love with our friends. Is that not the definition of dedication? I am a dedicated and determined archer, and I can't wait to meet my friends on the shooting line. Cameron Radigan for all intense and purposes is considered a normal teenage boy. 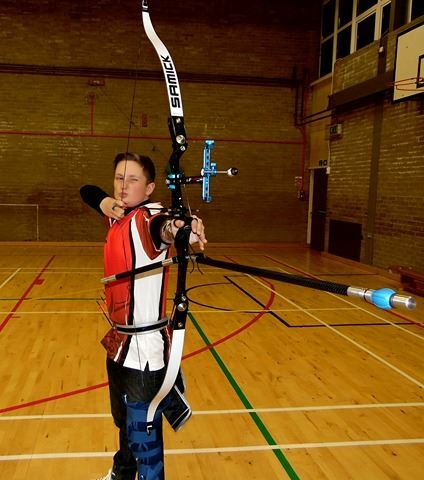 He first showed interest in archery when he was 12 and joined Northwest Archery Club in Kilmarnock. This community run club introduced children to archery in a fun environment. It became evident very early on that Cameron wanted to advance in archery. He joined Irvine Toxophilites Archery Club in August 2015. 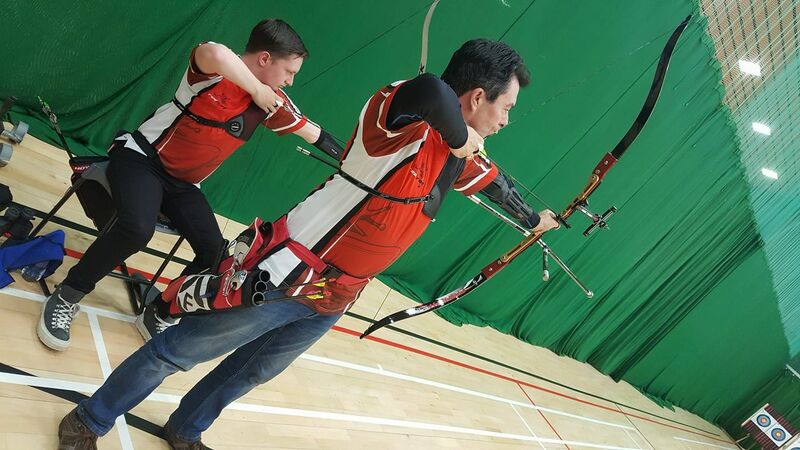 With the additional coaching provided by them and the expert equipment and advice supplied by Red Frog Archery it was not long before Cameron was properly equipment and attending competitions. In January 2015 he became West of Scotland under 16 champion. 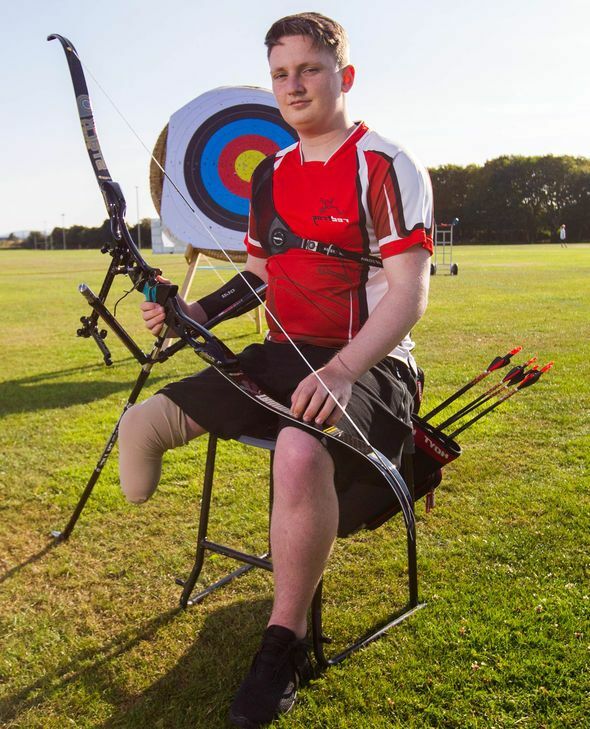 In August, 2016 he joined the Junior Scottish Archery Academy and attends there once a month to receive training from the national coaching team. With this additional support, Cameron achieved second position in the under 16's 2016 Scottish Junior Indoor Championships. At the age of 2 and a half Cameron was diagnosed with a cancerous tumour on his leg. After surgery and radiotherapy Cameron unfortunately lost part of his leg. Due to this he spends most of his time on crutches or in a wheelchair but this does not deter him from competing in archery to a high level. 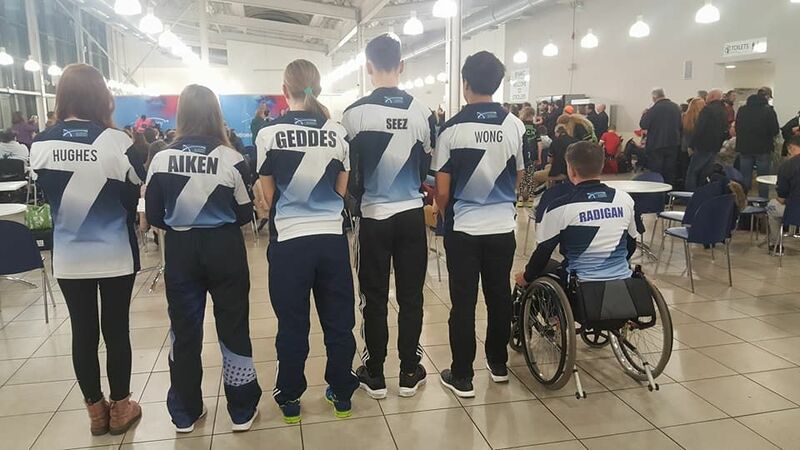 With the support of his coaches and our sponsorship Cameron is intending on competing in the UK Junior Championships in December 2017 Nathan "Lightning" MacQueen is a 25 years old Paralympian archer on the GB squad as a full-time athlete. He shot for Great Britain at the 2017 Paralympics in Rio which was a dream come true and finish 9th. At the age of 18 Nathan was involved in a car accident at Abingdon on the M74 which resulted in his being in a wheel chair. This was difficult to adjust to at such a young age but picking up a bow 2 years ago has been a life changing experience. Nathan is proud of his achievements to date but wants to make archery a long-term career.